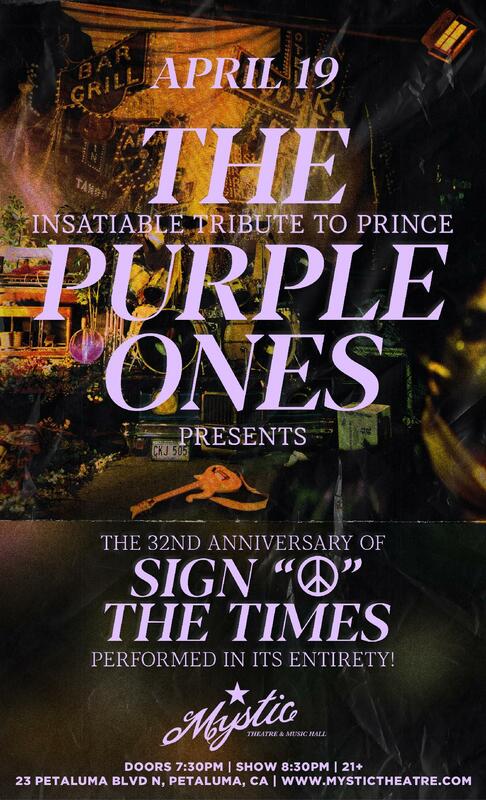 Not a typical tribute band with a Prince lookalike or impersonator, The Purple Ones bring audiences to their feet, night after night, by speaking Prince's musical language. energy, rhythm, creativity and of course...a serious dose of unadulterated funk. The Purple Ones tap into that soulful artistry like none other. The Purple Ones is a labor of love that was born in 2012 when Bay Area based bandleader and founder, Morty Okin ("The New Morty Show”, co-founder of the Michael Jackson tribute "Foreverland" and Neil Diamond tribute "Super Diamond",) decided to focus all of his energy on building the greatest Prince tribute on the planet. The Purple Ones have been selling out concert venues since their inception, growing a fan base over the years that includes long time Prince devotees and newbies that are just discovering the icon. Recently, Brown Mark and Matt "Doctor" Fink from The Revolution performed with TPO onstage and is not uncommon for the band to be joined on stage by "Honorary Purple Ones" like celebrity "Super Fan," comedienne Margaret Cho and members of the artist's extended musical family, including renowned percussionist (and brother of Sheila E,) Juan Escovedo who toured the world with Prince in the 80’s.